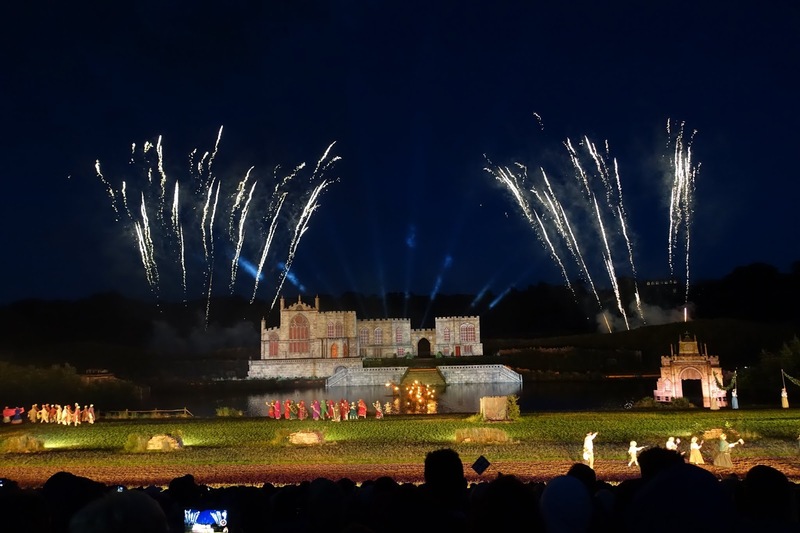 Kynren, it's been taking the North East by storm over the last 3 years and with good reason too. The North East has an abundance of history, from the Vikings to the invasion of the Scots, we've lived through it all. 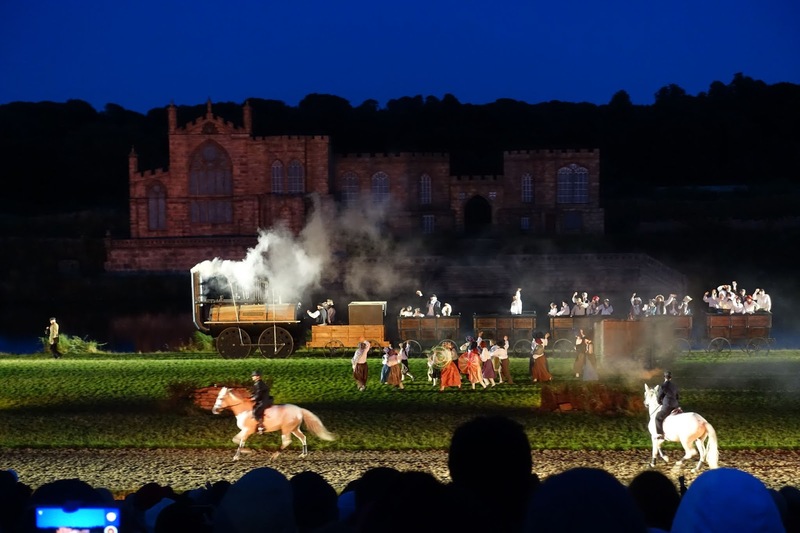 Kynren is a 90 minute open air show that takes you on a journey through the history of England told through a young boy called Arthur from Bishop Auckland. You should expect to be amazed, laugh, cry and feel incredibly patriotic at the end. 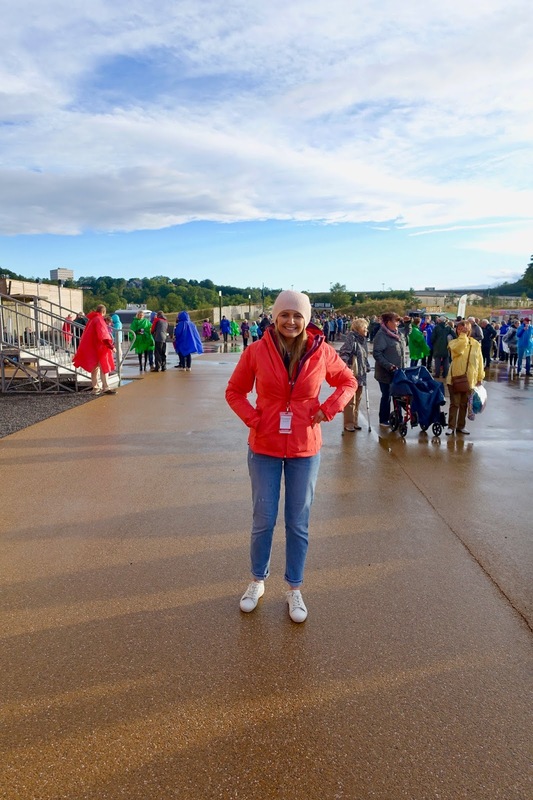 All of the actors that are part of Kynren are volunteers called Archers, there are over 1,000 of them. 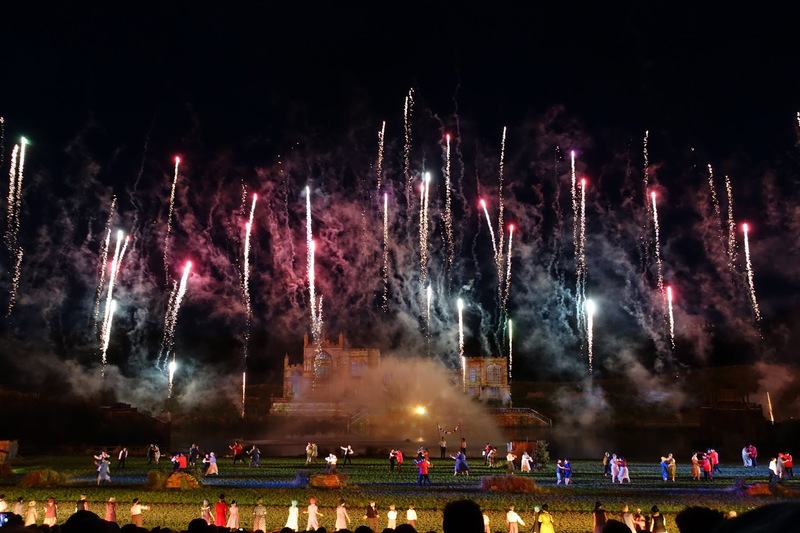 They really make the Kynren experience absolutely amazing. The site for Kynren is in Bishop Auckland County Durham. It is easy to get to and has a fantastic parking system should you need to park your car. Can I get any food at Kynren? Yes you can! 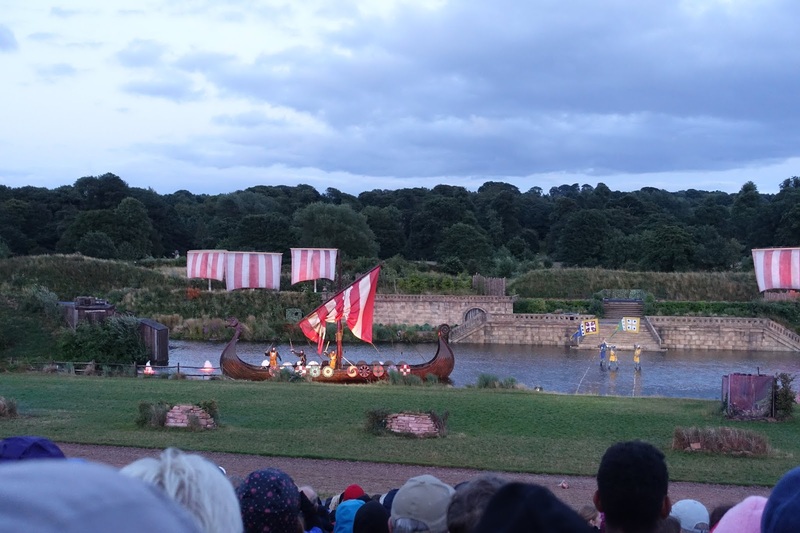 In fact Matthew and I got to Kynren early and we had dinner there. 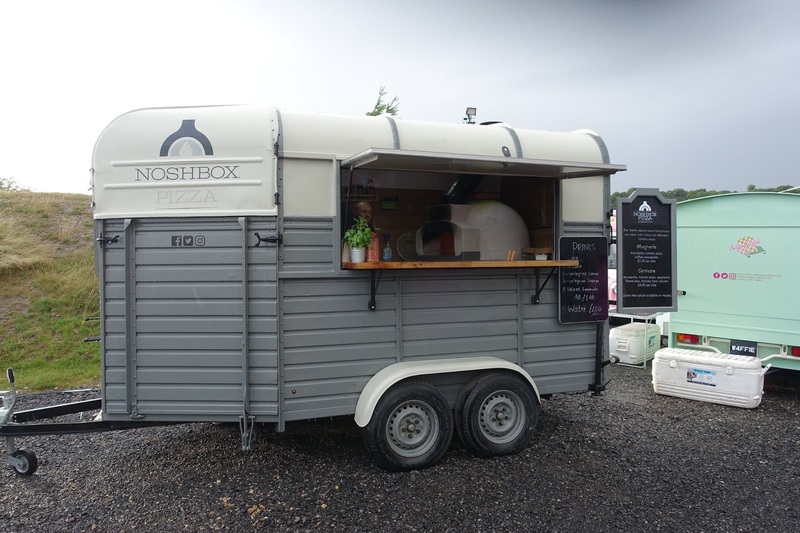 We tucked into pizza from the noshbox pizza truck and waffles from a waffle stand! They were both delicious. I also grabbed a hot chocolate to warm me up. There is a bar at the start however the food vendors close 15 minutes before the show to allow everyone to get seated. It is 90 minutes long and there is no interval. What should I take to Kynren? There is a whole list of things that you can't take to Kynren and they're all listed on their website here. 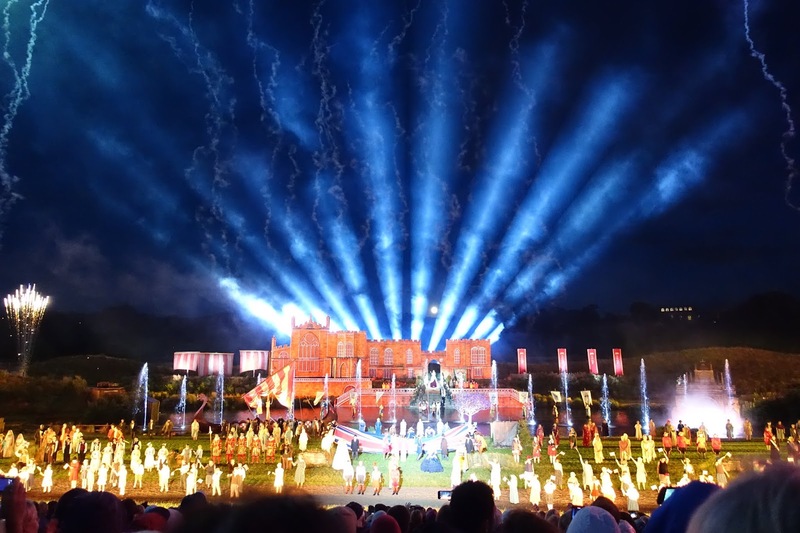 Kynren is an outdoor event and even in the Great British summer time it can be cold so make sure you wrap up warm and take waterproofs! We got caught in a downpour just before the show was about to starts. 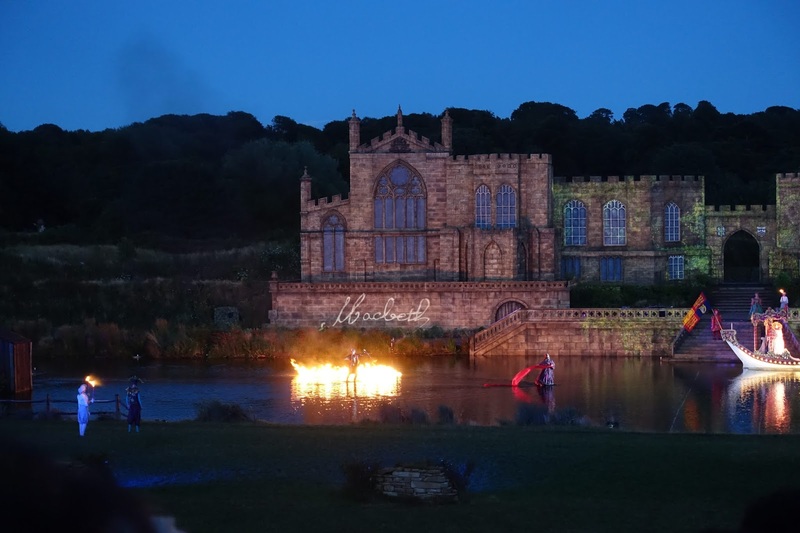 Is Kynren any different to last year? Yes, it has slightly different theatrics to previous years. I've been 4 times now and there has been a change, however the show is about the History of England, so the story line hasn't changed. There is different stage settings however, but to be honest, I love the show so much I'll be 100% going to see it next summer. 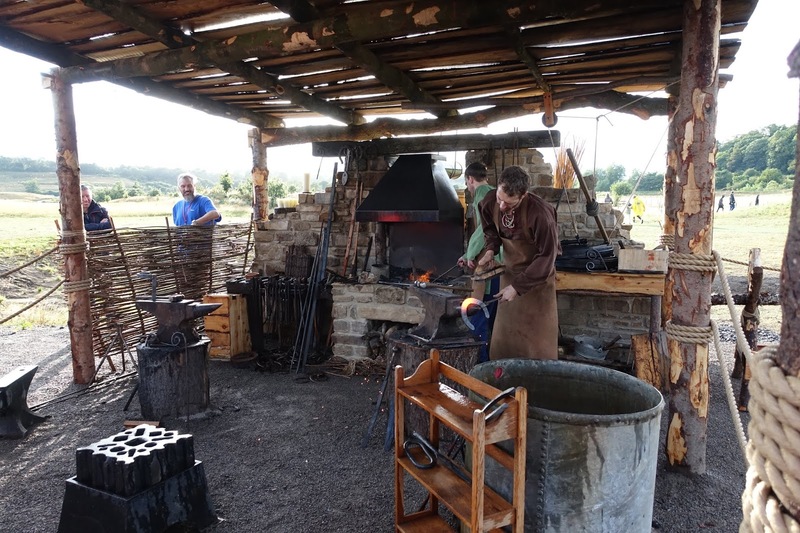 There is also a new interactive bit at Kynren where you can watch blacksmiths from the medieval times make horseshoes, which was so cool. They explained what they are doing and why they are doing it. I found it so interesting. You can also see some of the animals before the show, which was is a must for any animal lover! You can book tickets very easily via their website here. Also on the website is the seating plan for the night along with all the parking options. Tickets start from £25 for children and go up to £60 however there are discounts to be had! There are still plenty of dates left over the Summer for you to see the incredible show. The show times do change as the nights get darker, (just incase you want to take children and are worried about a late finish). 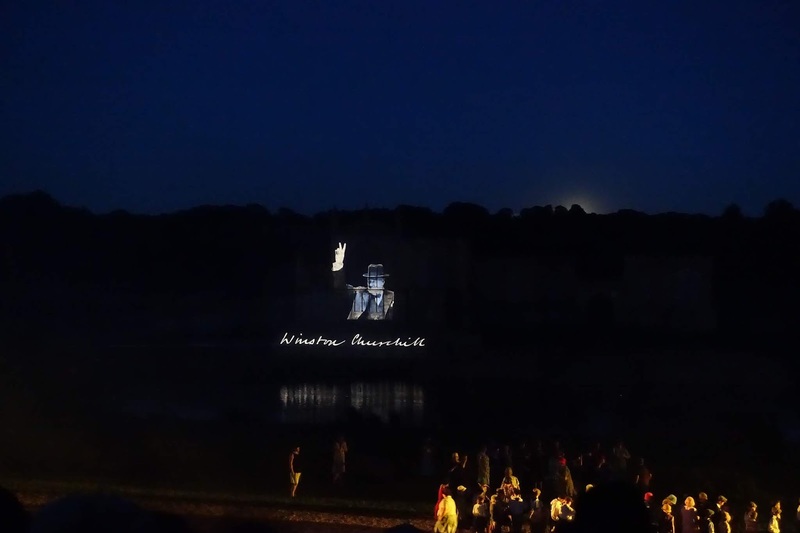 Good question, Kynren is anglo saxon for 'generation', when you go to Kynren you really are seeing what your previous generations went through, and for a self confessed history nerd like myself I really find it fascinating. 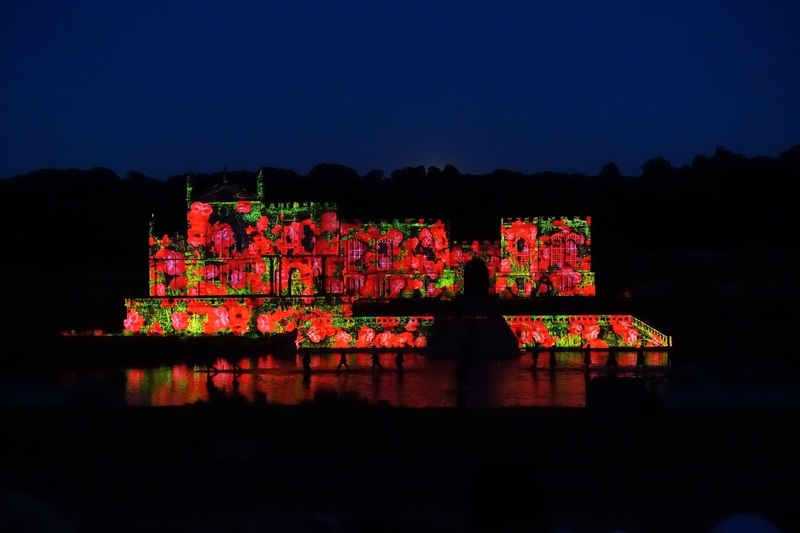 Kynren is the most unique show I have ever been to and without a doubt the most thing I recommend to people to go and see while they are visiting the North East! 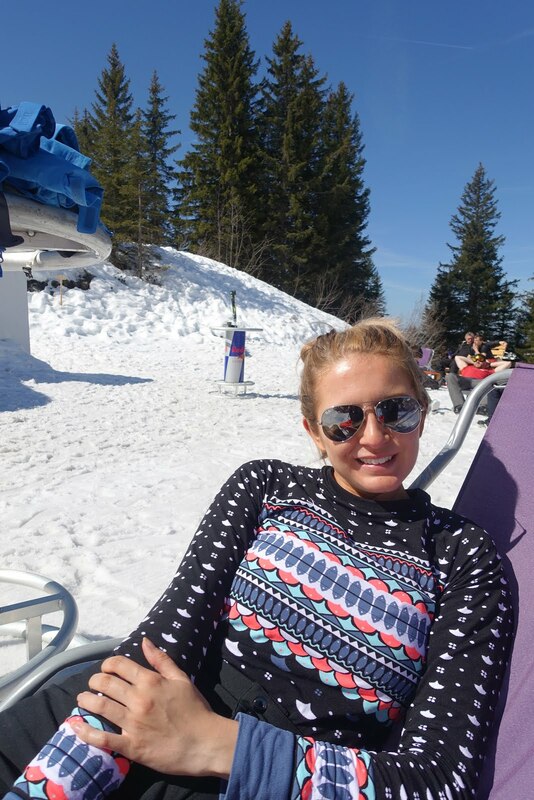 You really don't want to miss out, in fact, make sure you put in on your bucket list now! I took all the photos myself, I was sat in row Z in Diamond for reference. I'd love to hear what you thought of the show or if you have plans to go later in the summer please let me know via my facebook page. *I was gifted my tickets for the evening, all opinions remain my own. 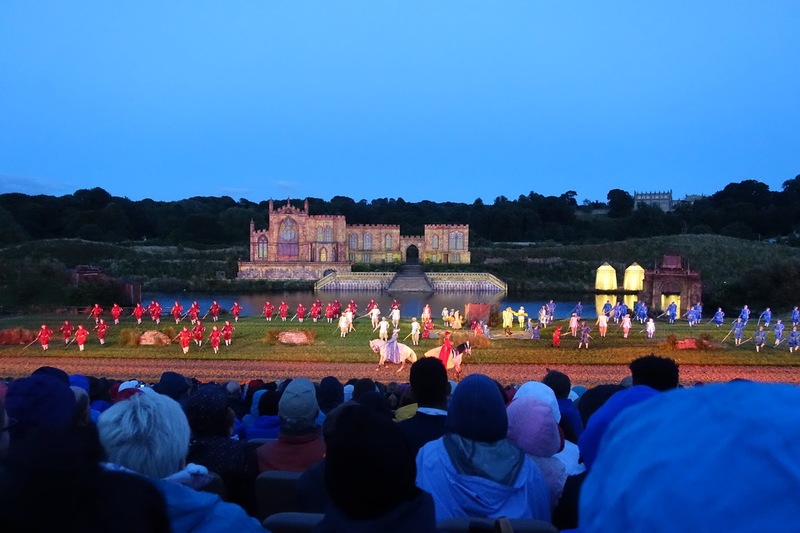 Kynren is the best show in the North East!